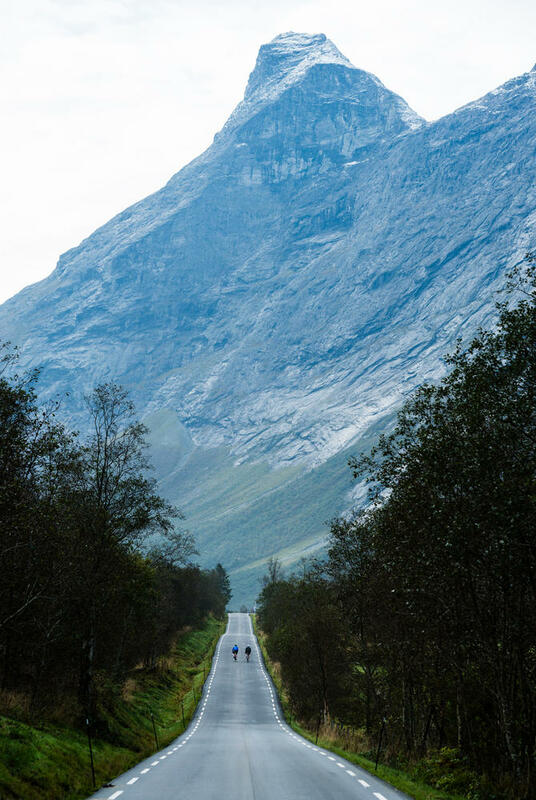 A spectacular driving holiday along Norway's beautiful west coast. 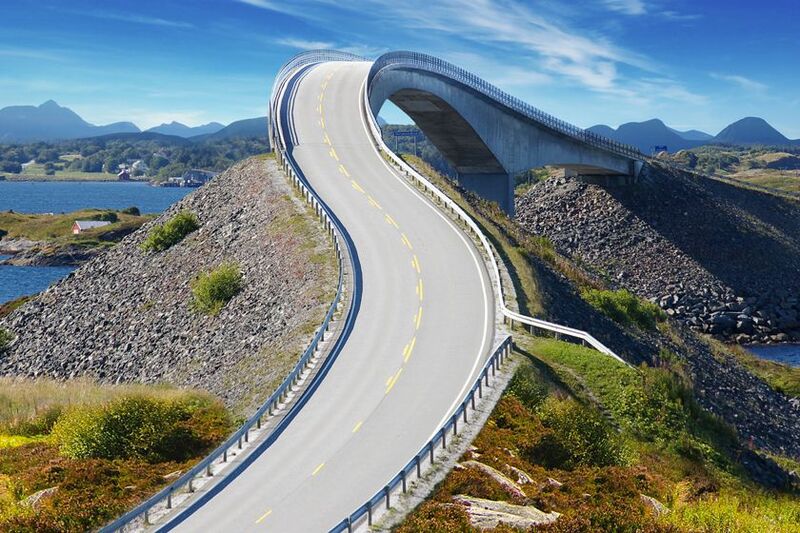 The Atlantic Road, which links the islands between Molde and Kristiansund along Norway's west coast, is considered by many to be one of the most spectacular coastal roads in the world. 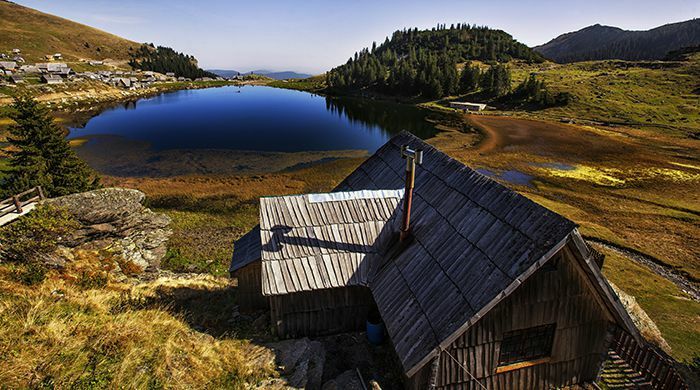 At just five miles long, it zigzags across eight low-lying bridges that jut out above the sea. In the middle is Molde, a former trading post on the northern shore of Romsdaldfjord, one of the most beautiful fjords in Norway. 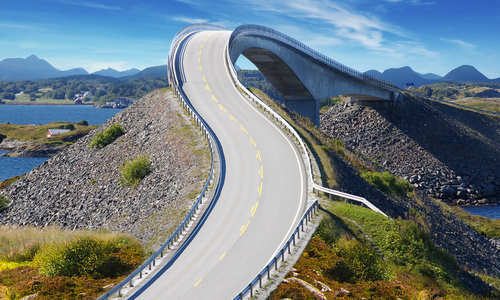 It makes a perfect base from which to explore the Atlantic Road and the various attractions of the region. 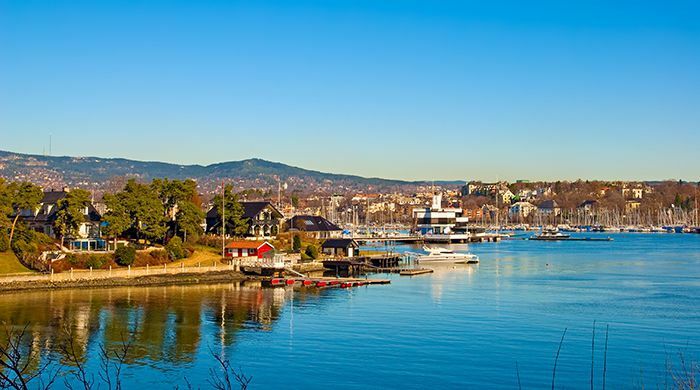 This short break combines three nights in Molde with a stay in the heart of historic Bergen. 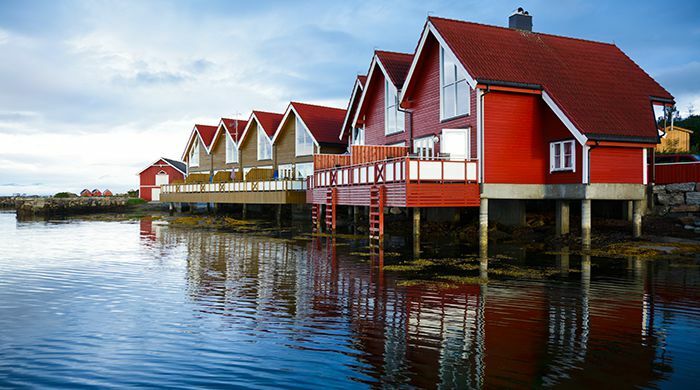 Fly from the UK to Bergen and check into your hotel, a delightful brick-fronted accommodation run by the descendants of renowned composer Edvard Grieg. 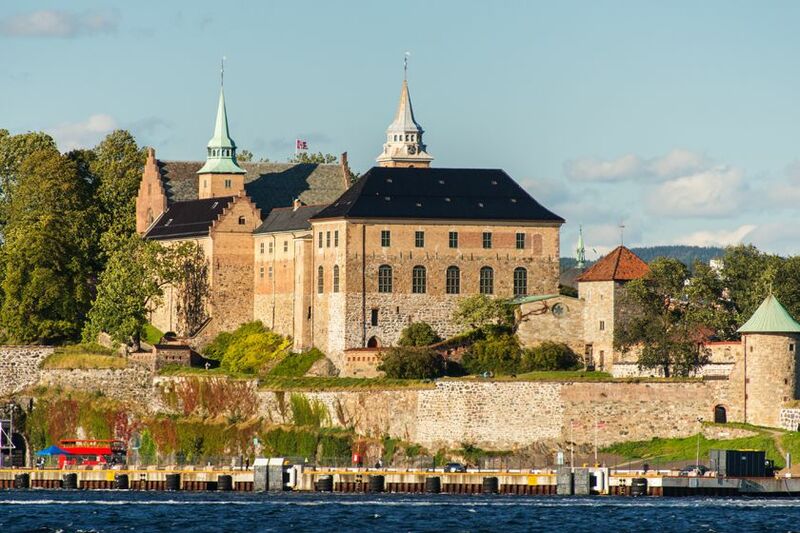 Once you've settled in, you'll have two days to explore the city, taking in the history of the Hanseatic Bryggen wharf, wandering between pretty parks and winding cobblestone streets and taking the funicular to the summit of Fløyen Mountain for views across the city and its mountainous surrounds. 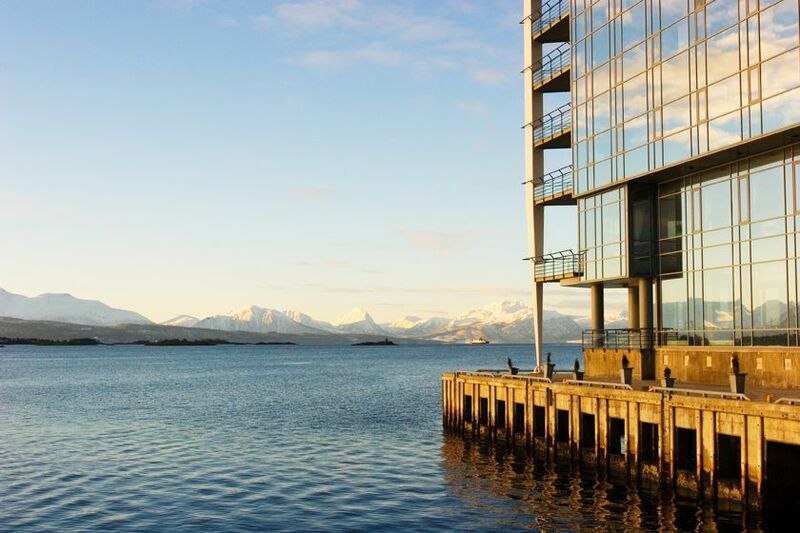 Fly from Bergen to Molde where you'll collect your hire before checking in to the Hotell Molde Fjordstuer on the edge of the quay in the centre of town. 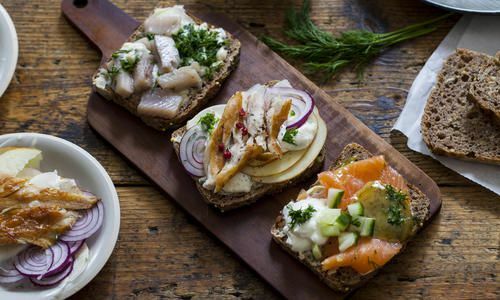 The outside pub-restaurant makes an idyllic spot for quayside dining as the boats come and go, while tables at the hotel's à la carte seafood restaurant are highly sought after in summer. 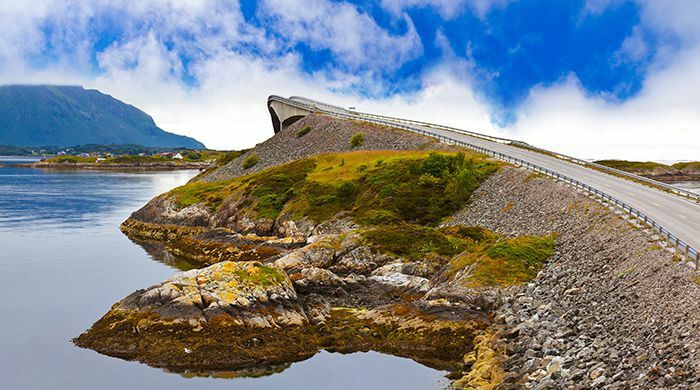 Spend two days driving the Atlantic Road. 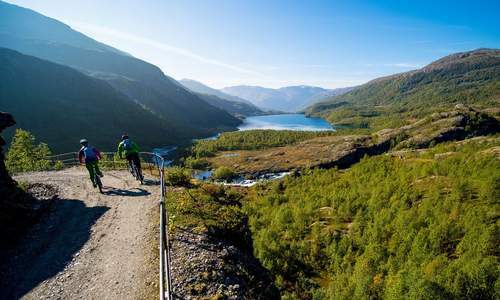 Besides fishing, picnicking and watching out for seals and whales, other highlights include the unusual Åndalsnes Train Chapel – a train carriage converted to a small church at the end of the Rauma Line, and the Troll Wall, the tallest vertical rock face in Europe. 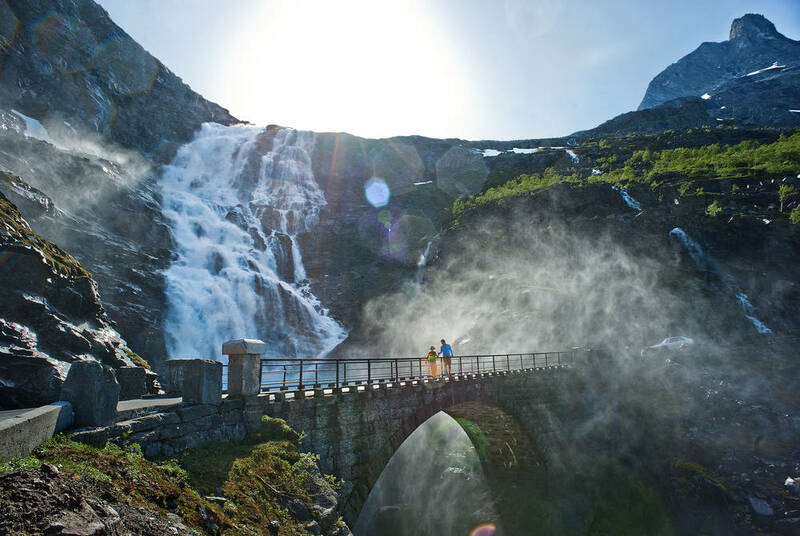 The peaceful and picturesque villages of Bud and Ona make for scenic stops and, If you feel like heading further, the hairpin bends of the Trollstigen Mountain Road will bring you to the spectacular shores of UNESCO World Heritage-listed Geirangerfjord. 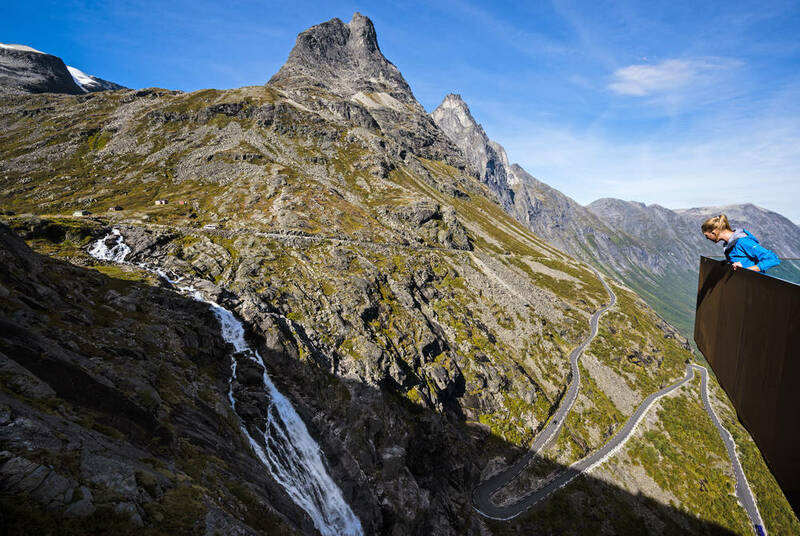 Return your hire car to Molde airport and board your flight home via Oslo, or extend your stay in Norway with a few days in Geirangerfjord.